A huge ‘thank you’ to Reading Roadrunners who have raised an absolutely amazing £11,500 for us over the last year! 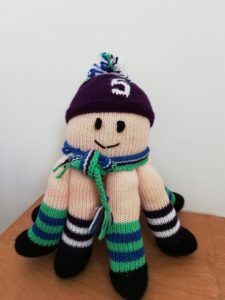 The club have taken part in, and organised, many events as a part of their fundraising efforts, such as their Shinfield and Mortimer 10ks, ‘Kerry and Trisha’s Mad 100km Cotswold Way Challenge’, ‘Sev’s Super London 100 mile cycle’ and rowing in the Reading Dragonboat Festival! 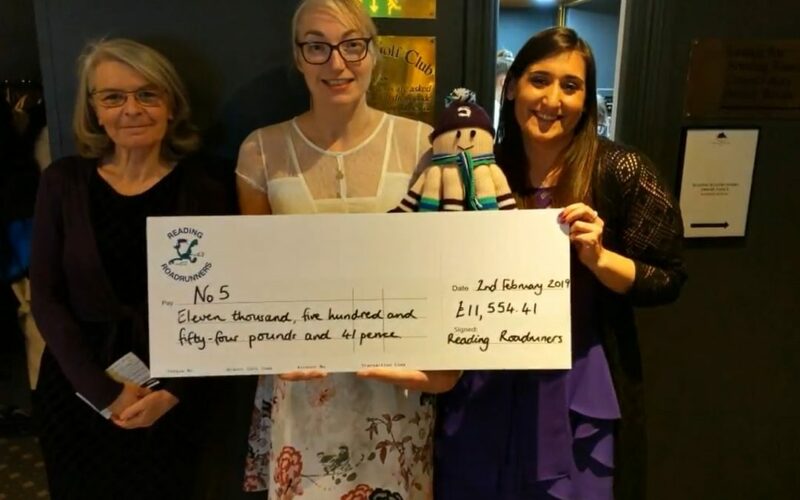 ‘Reading Roadrunner’, Kerry, nominated us to be the club’s ‘Charity of the Year’ last year, and through a variety of events they have raised an incredible amount of money which will go a long way to helping us ensure that we can be here to support Reading’s children and young people in the years to come. 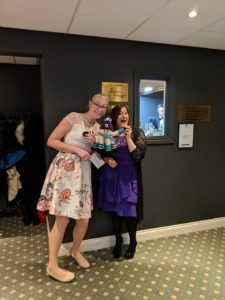 Alyson and Carly were invited to the Roadrunner’s Dinner Dance on Saturday where they were presented with the incredible amount raised by the club. 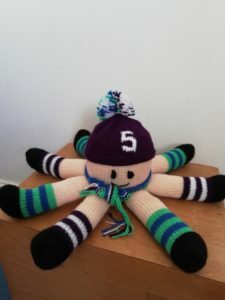 We even gained our fabulous new octopus mascot. Please leave name suggestions in the comments! Thank you to Kerry, and all of the Roadrunners, for their dedication and effort over the last year! We are all so grateful!